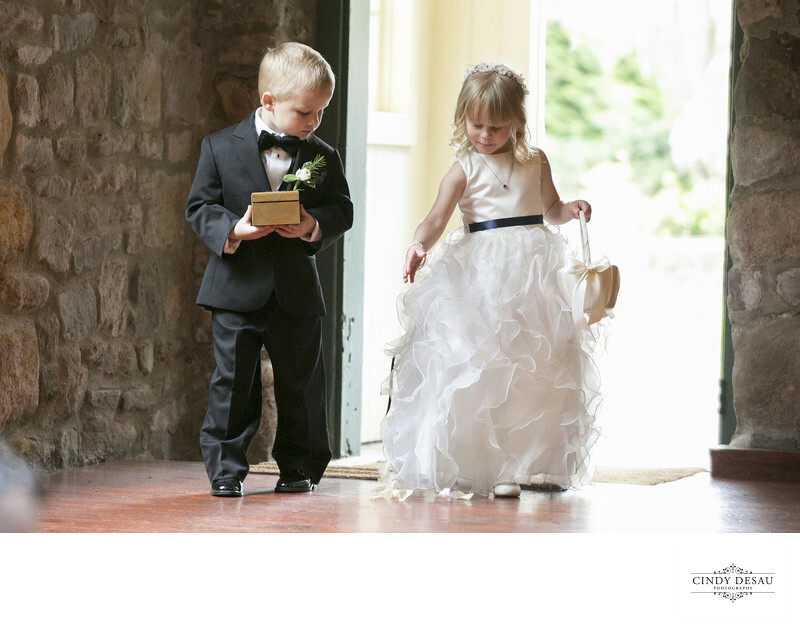 Just as this ring bearer and flower girl entered the old barn, I was there to capture this wedding photograph. I love how the ring bearer is checking the progress of the petals dropping! The light is also luminous in this location, creating a timeless keepsake in this wedding day image.